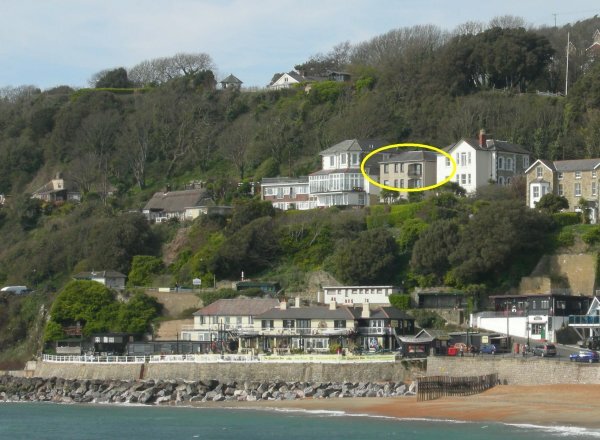 The apartment is on the south coast of the Island overlooking Ventnor Bay from the western end. The location is a quiet one, yet Ventnor’s award winning sandy beach is a couple of minutes walk away and you can stroll to the shops in about five minutes. There are numerous places to eat and drink nearby. The apartment is on a private road with an allocated parking space. 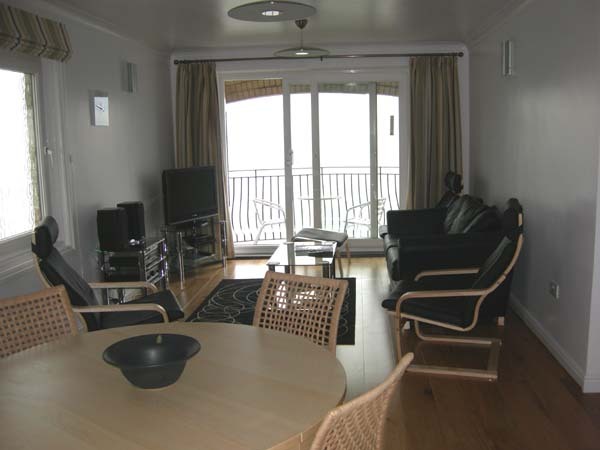 Beach View Apartment sleeps four in two bedrooms (a double with a king size bed and a twin) overlooking the sea. A large living/dining/kitchen area is the centrepiece of the apartment. It leads to a decent sized balcony where you can really appreciate the view. The furnishings and decoration are in a contemporary style with oak flooring, ceiling spotlights and stone wall tiles. Among the facilities are free wifi broadband for guests who bring their laptop, free to air HD satellite television on a curved screen LCD Smart TV, an Internet radio and an iPod dock on the hifi. The kitchen is fully equipped – all major appliances are by Bosch or NEFF. The bathroom has a full sized bath as well as a separate power shower. The apartment is ideal for a family holiday, or for a couple to escape from everyday life. The Spyglass Inn, which is one of the best known pubs on the Island, and the Royal Hotel with its 2 AA rosettes for food are a couple of minutes’ walk away. Beach View Apartment is available as a holiday cottage let all year round – for whole weeks in season and for short or weekend breaks and whole weeks outside the main season. Please e-mail the owners if you would like further information or to make a reservation. Click here to see a video, and take an interactive tour around Beach View Apartment. 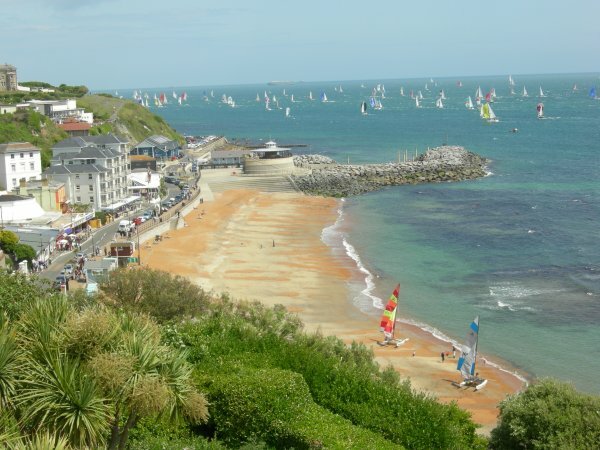 Ventnor is a charming Victorian coastal town built on the sheltered undercliff on the Isle of Wight’s south coast. It is dominated by the island’s highest point, St Boniface Down. Known to the Victorians as “England’s Madeira”, the town is noted for its sunny summers and mild winters. Ventnor has become one of the UK’s best known boutique destinations and is ideal for a relaxing break.